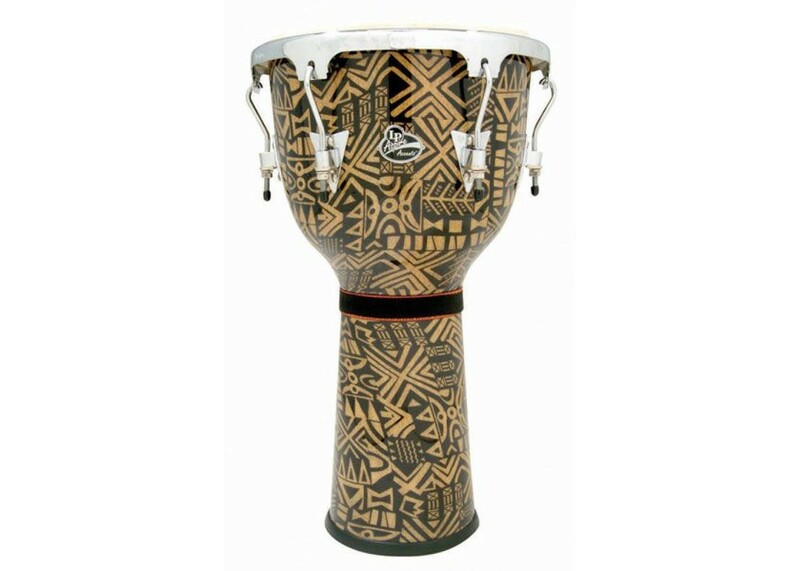 LP Aspire Tunable Djembe. Built from kiln-dried, environmentally friendly oak. 25" H with a 12-1/2" natural goatskin head. The rubber nonskid bottom prevents marring floors and keeps the drum in place. Tuning lugs allow you to precisely adjust your tone and even up the heads response. Includes tuning wrench. Ideal for drum circles, gatherings, or just having fun. 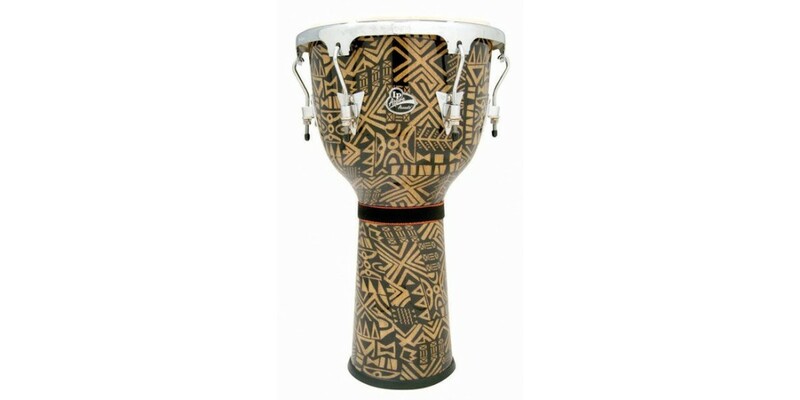 Toca Freestyle Series Djembe Rope Tuned 14 inch Bl..